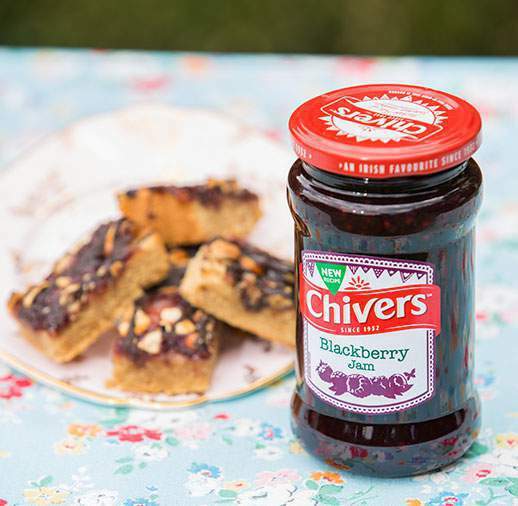 Chivers Mincemeat is a fantastic mix of juicy apples and flavoursome dried fruit balanced with spices. 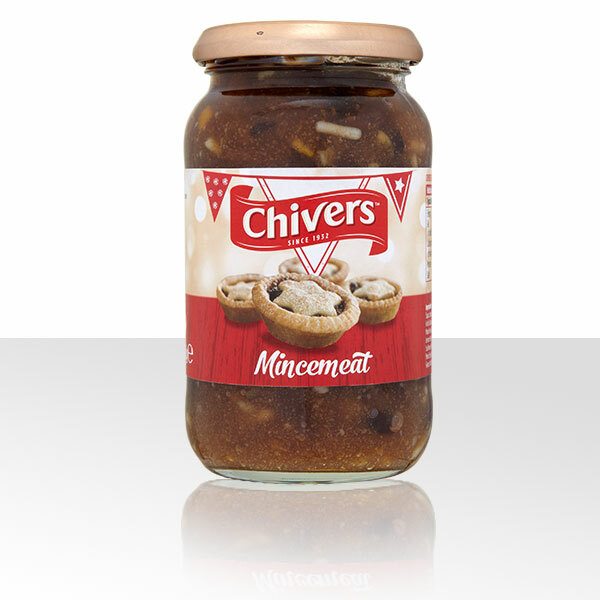 Perfect for whipping up tempting mince pies, adding to fruitcakes or try a delicious mincemeat sponge pudding with custard! Sugar, Apples, Vine Fruits (Raisins, Sultanas, Currants [with Glazing Agent (Palm Oil)]), Candied Mixed Peel (Glucose-Fructose Syrup, Orange Peel, Sugar, Lemon Peel, Acid (Citric Acid)), Vegetable Suet (Non Hydrogenated Palm Oil, Sunflower Oil, Rice Flour), Treacle, Acid (Acetic Acid), Mixed Spices (Cinnamon, Coriander, Dill, Fennel, Cloves, Ginger, Nutmeg, Cassia), Acid (Citric Acid), Antioxidant (Ascorbic Acid), Salt.